SAN LUIS OBISPO, CALIF. (May 15, 2015) – Native Trails’ NativeStone Trough 4819 sink (2014) is a winner of the 2015 GREEN GOOD Design Award. SAN LUIS OBISPO, CALIF. (Jan. 1, 2016) – Native Trails, the eco-chic company renowned for its luxurious artisan-made kitchen, bath and lifestyle products, announces a new size in its collection of undermount kitchen sinks. Native Trails’ new concrete sinks, made of a gorgeous and groundbreaking cement and jute fiber mixture called NativeStone, are poised to spur the concrete trend in home design. LAS VEGAS – Native Trails, leader in artisan-crafted, eco-conscious furnishings and fixtures for high-end kitchen and bath design as well as home decor products, has created two new hand-hammered apron-front kitchen sinks to add to their collection of one-of-a-kind. Native Trails, a leader in sustainable recycled copper sinks, as well as kitchen and bath furniture and home decor, is proud to introduce NativeStone™ concrete sinks. Native Trails, the eco-chic California company known the world over for its luxury, artisan-made kitchen and bath products, is expanding its revolutionary NativeStone™ Collection for 2015 with four new sinks and vanity tops. 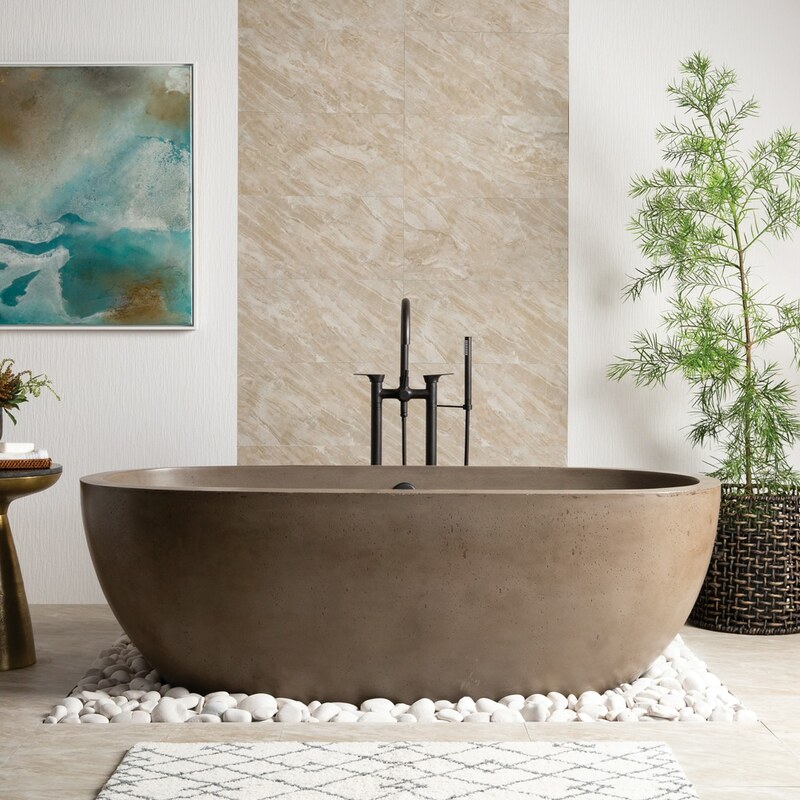 Native Trails, the eco-chic company renowned for its artisan-made kitchen, bath, and lifestyle products, has announced its newest copper bathtub design: Santorini. the leading brand offering sustainable, artisancrafted fixtures and furnishings for the home, is extending the range of its signature, handhammered products, providing more finishes and offerings in accessories. Native Trails, the eco-chic company renowned for its luxurious artisanmade kitchen, bath, and lifestyle products, has expanded its innovative line of copper sinks with two new and distinct finishes. – Native Trails, the leading brand offering sustainable, artisancrafted furnishings for kitchen and bath, is providing more finish options in select 100% recycled, handmade copper pieces, giving end-users more selections than ever before.